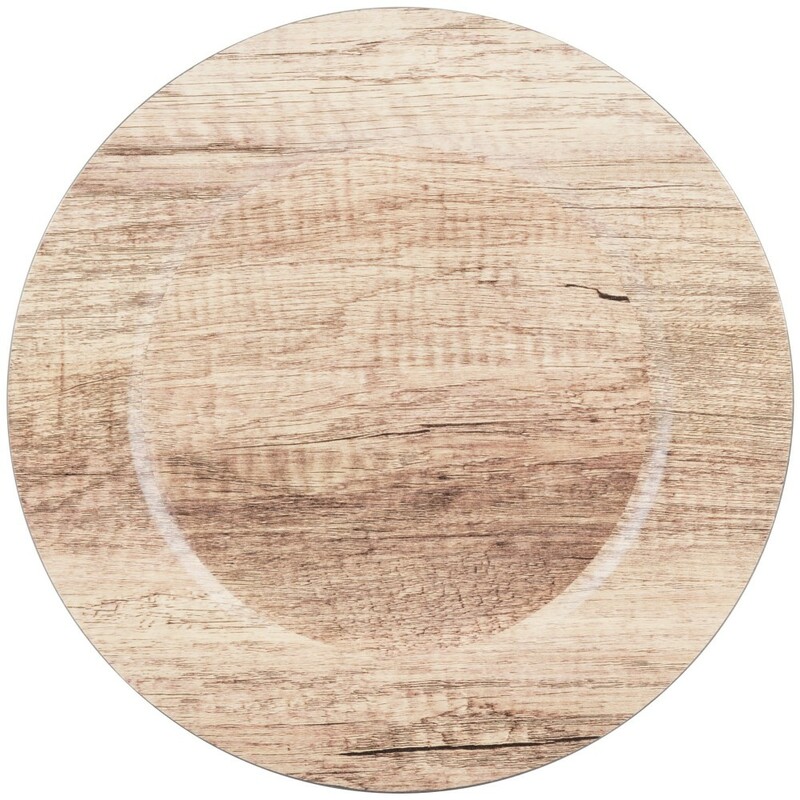 Home > Products > ChargeIt by Jay Round Poplar Melamine Charger Plate 13"
Perfect for setting a rustic table, the ChargeIt by Jay Round Poplar Melamine Charger Plate 13" is an excellent piece for relaxed dining, themed events, or festive entertaining. Boasting an eye-catching detailing reminiscent of a poplar wood grain, this charger provides an attractive backdrop for ceramics and other dinnerware. Combining beauty and functionality, this charger provides ample space for standard size plates while protecting against spills and mess. Made from lightweight, shatterproof melamine, this premium quality piece is exceptionally tough and durable. To properly care for this charger plate, hand washing is highly recommended.